This is a fine and famous LONGINES 13ZN 18k. 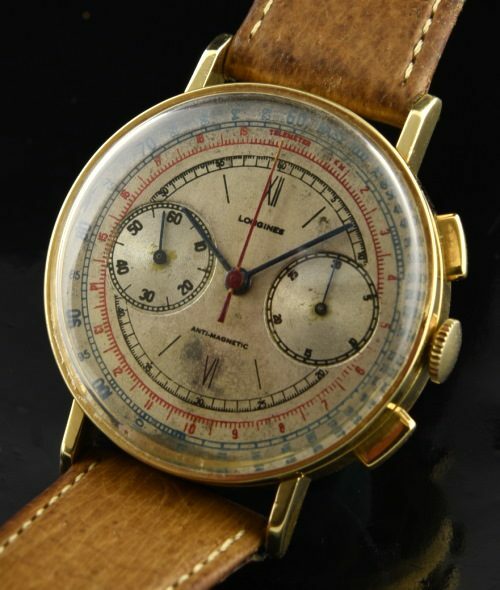 solid gold chronograph dating to 1939. The dial was restored a long time ago and has taken on vintage patina over the years. The very fine gilded in-house Longines 13ZN movement was just cleaned and is accurately keeping time with the chronograph functions working perfectly. The original solid 18k. 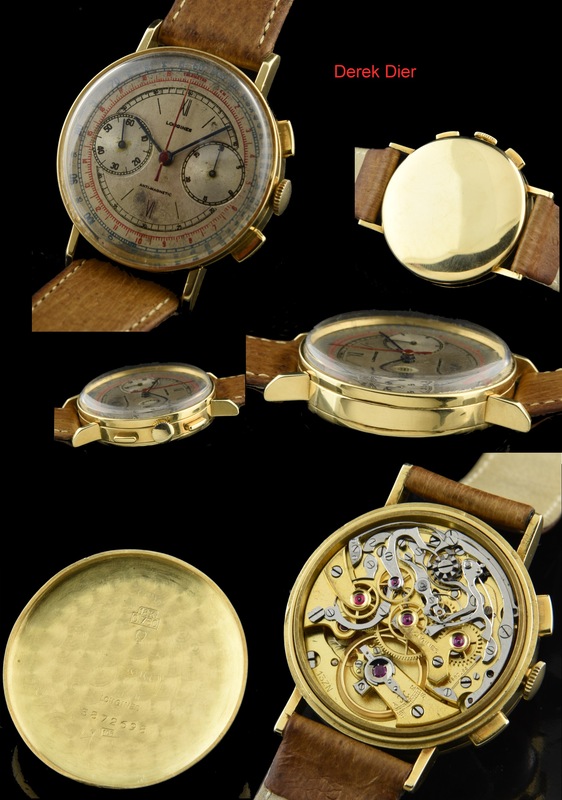 gold case has proper matching serial numbers to the movement. The 35mm. case displays very clean overall condition and is without dings or major marks. The case is 13mm. thick. You are going to love it!